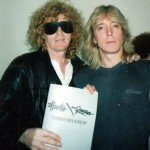 20th Anniversary Reprint Edition of the 56 page HRB Scrapbook! 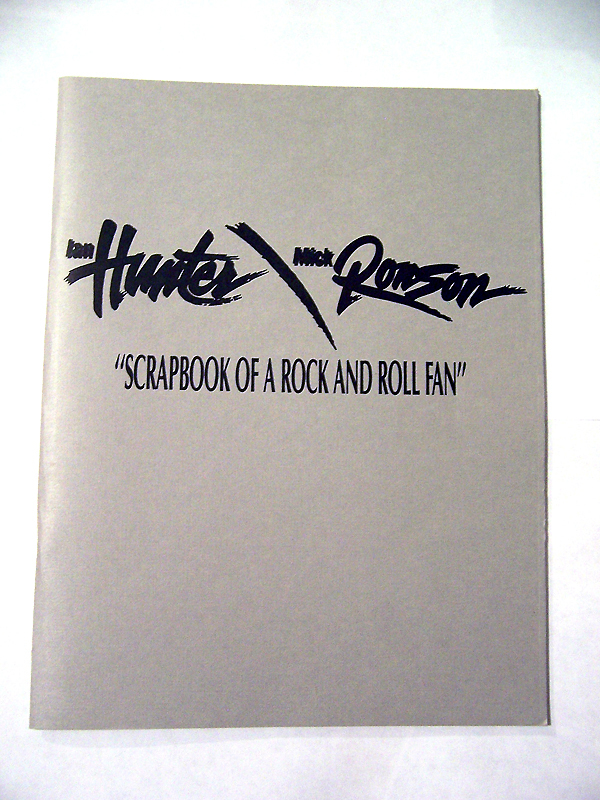 This long out of print, fan’s eye view of the Hunter / Ronson Band’s dynamic 1988-1989 tour includes loads of printed treasures. 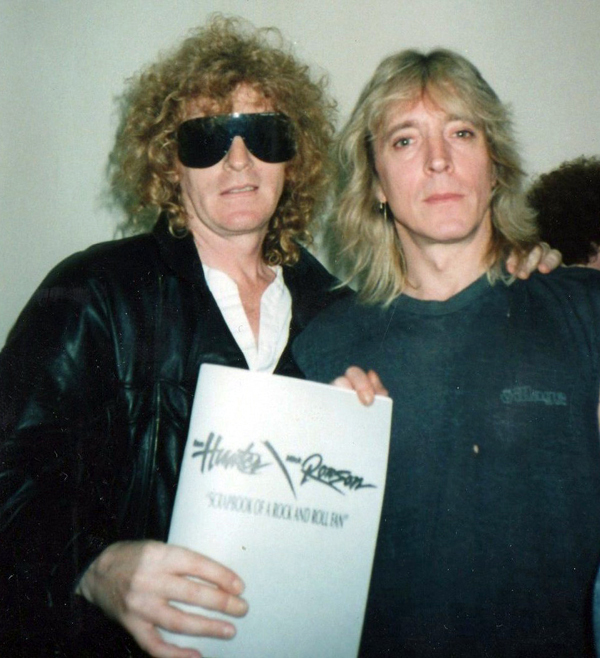 Tour photographs, clippings, memorabilia, ticket stubs, passes and an exclusive interview with Ian Hunter. Published by Weird and Gilly twenty years ago via Sons Of The Silent Age this rare scrapbook sold out just weeks after publication. 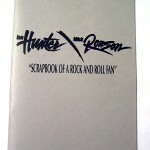 The HRB Scrapbook has become highly collectable and is known to be a favored piece amongst Hunter / Ronson fans. This very special anniversary reprint is a limited edition and available exclusively at www.weirdandgilly.com.